At long last, it’s not just the well-groomed of west London who have first class facials available on their doorstep. 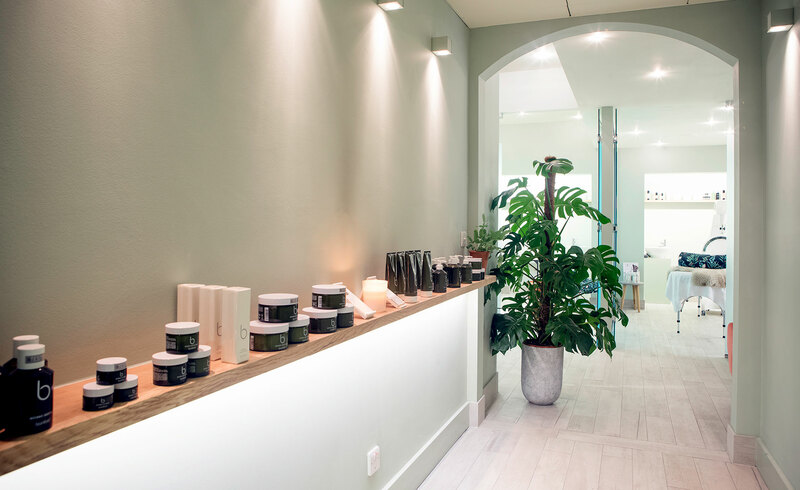 Clerkenwell now has its own day spa with the interiors, tools and know-how to rival Chelsea’s best. The Well is the latest addition to the multi-platform store Clerkenwell London, established over the past 18 months as a one-stop shop for British craft, interiors, fragrance, jewellery, fashion and (courtesy of its 155 Bar and Kitchen) food. A section of the basement has been decked out as a wellbeing oasis, designed by co-founder Sara Carter and spa guru Rachel Collins, and featuring stocked designers such as textile expert Charlotte Frances, whose custom-commissioned wallpaper and upholstery are dotted around, as well as house-designed manicure stations and a well-appointed wet room. The design will evolve and change as new designers and pieces come to the store. While the interior aesthetics will make an East Londoner feel at home, there is nothing too crafty or retro about the treatment offerings. They include non-invasive therapies for the face and body, such as tanning, waxing, tinting and manicures; but the signature treatment is the LED facial, which mixes hands-on customised cleansing and massage, using Circ-Cell and CosMedix, two highly researched and thoughtfully sought out American skincare brands, with hi-tech equipment developed off the back of NASA research. The latter, an LED facial machine, emits red light that the body converts into cell energy, increasing new tissue growth and stimulating collagen production. Body treatments, meanwhile, take advantage of the home-grown Bamford range. All in all, The Well represents a happy collision of design, technology and holistic wellbeing.